Like many women, I dread the first day in my bikini. That first day on the beach may be judgment day for my winter self indulgences, months of munching myself into unattractive bulges in the stomach, the hips, love handles, thighs. Some parts of the body seem almost programmed to stock fats and the prospect of fighting them an almost lost battle. Some of us may also suffer from hormonal or genetic predispositions that make firming and refining the waist skin almost impossible. However you don’t need to panic. 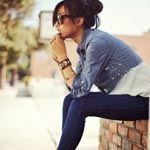 The first, and obvious, thing to do if you have put on a few extra pounds is to start exercising and eat lean. You can also get some help with some cellulite fighting lotions and serums. Popular in France where women swear by them, they are efficacious when diet and exercise are also included. 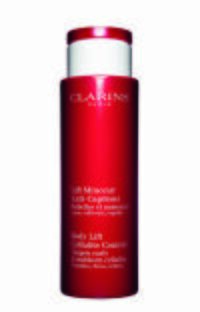 Clarins Body Lift Cellulite Control, $68. This luxurious formula targets stubborn cellulite with 8 plant extracts to break down the protein barrier of fat, tighten and firm the skin to help make the hips and waist smaller. The lotion spreads smoothly and is easily absorbed by the skin. It is most effective if you massage the skin in a circular motion to promote circulation and drainage of fat and water in the targeted areas. Vichy Laboratoires CelluDestock Intensive Treatment, $39.50. Infused with pure caffeine and Lipocidine, this formula is meant to reduce the appearance of cellulite in four weeks. The non-sticky formula causes a slight stimulating, tightening, and toning up effect upon application on the buttocks, hips, and thighs. You must apply from knee to buttock and knead the area slowly until the product melts into the skin. 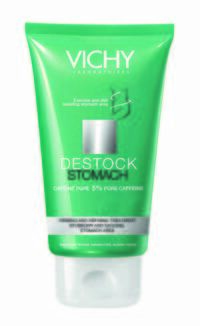 Vichy Destock Stomach Firming and Refining Abdominal Care, $37.50. This treatment helps reduce the stubborn and sagging stomach area. Pro-firming peptides and 5% Pure Caffeine improve microcirculation and firm the skin reducing the bloated feeling. 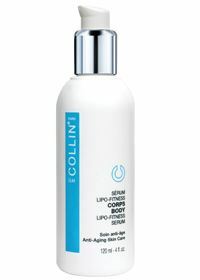 G. M Collin Body Lipo-Fitness Serum, $48. This cellulite treatment with Glaucine–caffeine complex activates channels to evacuate fat and sugar and re-balance your metabolism. The texture is very creamy and easily to spread. The result is firmer leaner skin over a two-month period. Nivea Skin Firming Cellulite Gel–Cream, $11. This product gets the job done–and at a very reasonable price to boot! 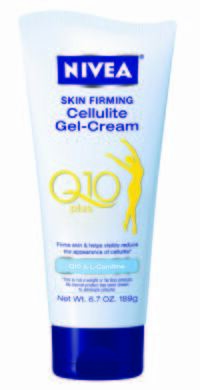 Formulated with Coenzyme Q 10, Natural Lotus, and Carnitine it fights and reduces cellulite in ten days. 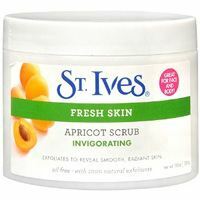 St. Ives Fresh Skin Invigorating Apricot Scrub, $5.40. To stimulate the full absorbency of the slimming products, you should exfoliate the skin area first. This affordable exfoliator is a great way to slough off dead skin cells and bring out fresh layers of skin. Vani-T Bronzing Custard, $29.95. If you are fair-skinned, one trick I have learned to look slimmer is to cover my body with a self-tanner on the first day in my bikini. This organic self tanner is free of the usual harsh chemical suspects common in self-tanners. Yet it contains approximately double the percentage of self-tanning agent (DHA) and delivers a safe. very natural tan with no orange streaks or foul odors. These cellulite-fighting creams will help you reduce your waistline and thighs but make sure you do not depend on them alone to look trimmer and tighter. Take control of your body by working out on a regular schedule, adjusting your intake of food and alcohol, and exfoliating your skin regularly to boost circulation and keep it fresh. 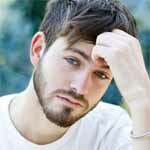 If you follow these rules, you will absolutely look more confident on that first day at the beach and if you bring along your date, he will no doubt be impressed. What are your cellulite-beating tricks? Tell us in comments!